"YAYA is an acronym for 'Young Aspirations Young Artists.' There is also a Yoruban word ya-ya, meaning "eldest daughter," and in New Orleans, the food capital of the South, the term has developed a colloquial meaning through the phrase "gumbo ya-ya," a rich local soup featuring sometimes seafood, sometimes meat, always vegetables and rice. So it fits, this odd sounding name, on a variety of levels, to describe what Jana (YAYA's founder) gave to her students. It means hope, art, food, and family. It is local and international, Anglo and African. It is what the first eight YAYA Guild members came to be called: the YAYAs." YAYA’s mission is to empower creative young people to become successful adults. We provide educational experiences in the arts and entrepreneurship to New Orleans-area children and youth, fostering and supporting their individual ambitions. YAYA (Young Aspirations Young Artists, Inc.) was founded in 1988 as a creative and entrepreneurial partnership between New Orleans artist Jana Napoli and art students from Rabouin High School (International High School of New Orleans). 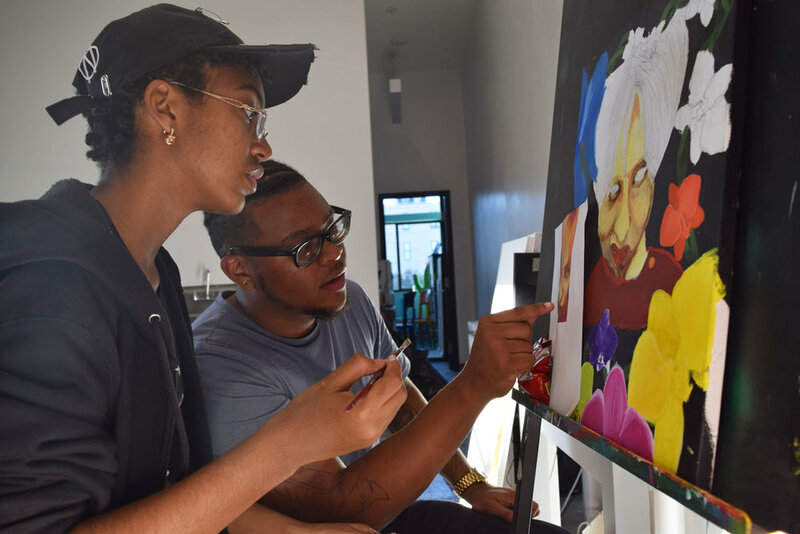 The after-school enrichment program nurtured the creative talents of local high school students in ways that also strengthened their academic success, life skills, and professional preparedness. 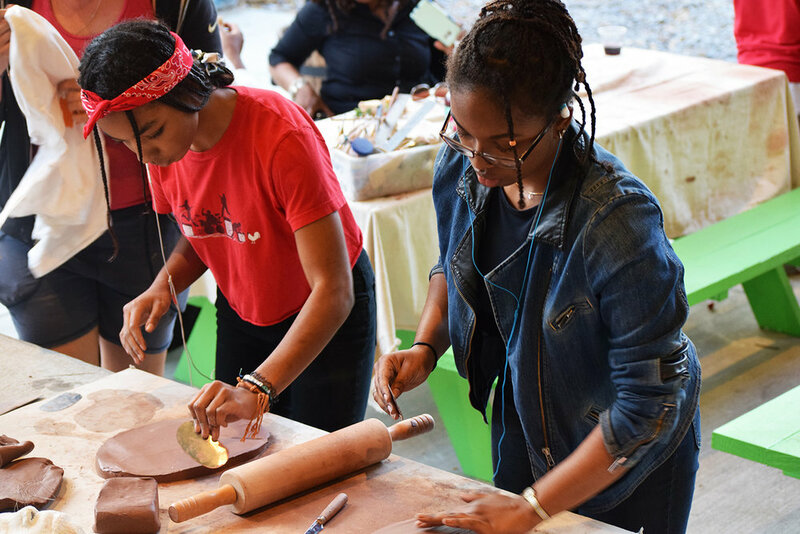 With a focus on found objects and repurposed materials, early YAYA Artists (The Original 8) learned to turn their creative talents into career pathways. The “YAYAs” sold artworks throughout the CBD (Central Business District) of New Orleans, then in New York and other U.S. cities, and finally internationally. In the process, YAYA’s guild program of youth development through art became a model for emerging organizations across the country. YAYA’s programs have expanded over the years as we continue to work with students after school in our home studio. We also position our students as artist-mentors in elementary and high schools, and at community events and centers through the Urban Heroes program. YAYA works with close to 3,000 students each year. In 2015, YAYA broadened its programming once more. We built and moved into the new YAYA ARTS CENTER, a high-quality arts campus that brings YAYA’s more than quarter century of successful programs into the Central City neighborhood of New Orleans.